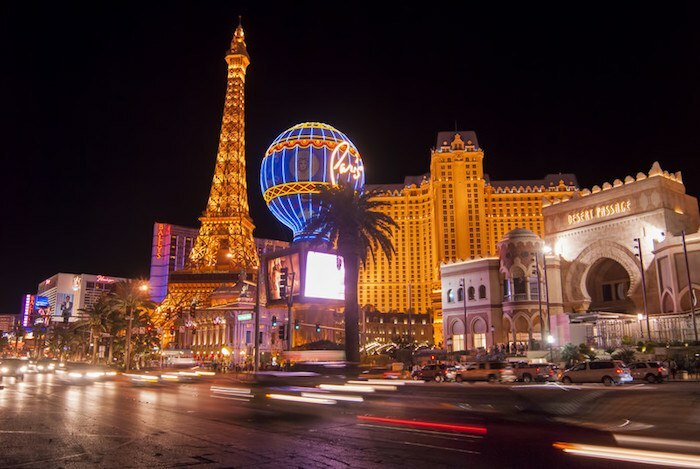 Top 10 Casino Affiliate Programs That Can Pay For Your Next Trip To Vegas! The first online casino launched in 1996 and the industry has been growing ever since. Not all states in the US accept online gambling like casino games. Bitcoin gambling has become a popular solution that allows most states to take part in online gambling. Be sure to check if online casino gambling is legal in your state or country! It's also very possible that you can write for a gambling website despite living in a state that disallows gambling. Double check before you start a website on this topic though! Once you check that stuff, you can check out these 10 great casino affiliate programs to monetize your website, and don't forget we also have a sports betting and more gambling list that will include more options. Ace Revenue was started to provide affiliates with everything they could need in one place. They provide the best casino brands, marketing tools, and best support team in the online casino business. They represent brands like Silver Oak Casino, Planet 7 Casino, Captain Jack, and Royal Ace Casino. They have high conversion rates and no negative balance carryover. Ace Revenue uses Real Time Gaming Software to run their affiliate program. Affiliates have access to real-time tracking reports, creatives, and special bonuses for players. Some of their competitive marketing materials include high-converting banners, text links, co-branded mailers, and RSS feeds. Affiliates earn commissions for life with no hidden fees which means more cash in your pocket. Rewards Affiliates is the official affiliate program for the Casino Rewards group, the largest family of microgaming casinos in the world. They have over 20 different casino sites including Aztec Riches Casino, Yukon Gold Casino, and Lucky Emperor Casino. Each month they pay their affiliates over $50,000. Their affiliate program is powered by their proprietary software with an award-winning affiliate management team. Rewards Affiliates provides access to a great selection of marketing materials and tracking tools. Affiliates can choose from three different commission plans: CPA, flat revenue share, and tiered revenue share. Affiliates earn 50% commissions for the first month and lifetime commissions for the life of their referrals. Cafe Casino offers US players a laid back gaming atmosphere and the most value for their money. They have over 200 of the top games on their fully mobile website. Users receive fast, free payouts and 24/7 customer service. Cafe Casino gives a $10 free chip sign up bonus and a welcome bonus of up to $5000. Their affiliate software is powered by Income Access and managed by Best Partners. Their detailed reporting tools were designed to be easy to use and provide affiliates with all of their key stats. Affiliates have access to a complete suite of marketing materials and content resources. Affiliates earn 50% revenue share commissions for the first 3 months. CPA deals are also available for select affiliates. Mainstreet Affiliates promotes a group of US online casinos that includes Slots Plus Casino and Sun Palace Casino. They are one of the longest running casino groups in the industry with high conversion and retention rates. Their brands offer a great selection of table games, video poker, slots, and other casino games. They use Real Time Gaming affiliate software to run their program.They provide affiliates with integrated promotional materials, detailed statistics and a dedicated account manager. Mainstreet Affiliates offers no negative carryover except for high roller players. Affiliates earn lifetime commissions which is calculated as gross gaming profits minus chargebacks and bonuses. Deckmedia has 11 online casino game providers including Betsoft, Rival, and Octopus Gaming. Each site has its own unique themes and over 250 games including live dealer and slot tournaments. All of their brands are marketable to US players. They use their own proprietary affiliate software to give affiliates access to marketing materials, real time reporting, and weekly updates. Deckmedia does not have negative carryover or bundling so affiliates earn more each month. Deckmedia has a very low $50 withdrawal threshold so affiliates can get their money faster. Revenue Giants is one of the most lucrative casino affiliate programs in the industry. For over 10 years, they have been helping their clients become as profitable as possible. Their brands offer great promotions, sign up bonuses, and excellent customer service to increase conversions and retention rates. They offer no negative carryover and multiple payout options. Revenue Giant uses their own proprietary affiliate management software. Affiliates have access to all the marketing materials and reporting tools they will need to get started. Their affiliate program was started to help affiliates make money online with their high converting casino sites. Affiliate Edge manages a group of 9 premier casino brands including ClubWorld, All Star Slots, and Lucky Red Casino. They accept players from all around the world and all of their USD currency casinos accept US players. All of their casinos are backed by their high level of service and their 24/7 support team. They offer pro-active promotions to ensure high retention and conversion rates. Affiliate Edge is an award winning casino affiliate program. They provide a great selection of high quality creatives and detailed reporting tools. Affiliates can choose from a variety of payment options including credits to any of their online casinos. Affiliate Edge offers their affiliates 50% commissions for the first two months. 7Bit Partners is the official affiliate program for 7BitCasino and Mars Casino with over 3 years of casino experience. They are Bitcoin casinos that are open to players from all around the world including the United States. They both have over 1,000 games each and only use licensed software from popular providers. Their affiliate program is run on their own proprietary software. Affiliates have access to branded landing pages, banner ads, unique reviews, and special bonus offers. They offer no negative carryover and free money for product testing. Affiliates can choose from Revenue Share, CPA, or Hybrid commissions deals. They can also earn 5% from sub-affiliates. AffAlliance manages some of the top casino brands including Golden Lion, Eclipse Casino, Bovegas, and Supernova which are powered by Rival Gaming. Their brands accept traffic from all around the world with a number of currency options. They work hard to help their affiliates succeed and keep their customers happy. They use their own proprietary software to manage their affiliate program. AffAffiliates provides their affiliates with world class marketing tools, creatives, and professional affiliate managers that are available 24/7. Affiliates can choose from CPA, revenue share, hybrid, or custom commission plans to suit their type of traffic sources. Slots.lv offers North American players a great selection of exciting online casino games and generous bonuses. Their goal is to provide the best online casino experience. They are a trusted service provider that offers easy to use deposit options and lighting fast payouts. Their affiliate program is managed by Best Partners and powered by Income Access. Slots.lv offers complete transparency on their reporting system. Affiliates have access to marketing materials and their expert account manager. Now that you've learned about 10 great casino affiliate programs, it's time to pick a niche to market. You could focus on Microgaming casinos for people looking for casinos that offer Microgaming casino games. Rewards Affiliates manages the largest family of Microgaming casinos in the world. Affiliates earn 25-35% commissions with a 90 day cookie life. Another niche idea is mobile friendly online casinos. Cafe Casino offers US players over 200 top casino games on their completely mobile website. Affiliates earn 25-45% commissions for the life of their referrals. Bitcoin casinos is another great niche for US friendly online casinos. 7Bit Partners manages Bitcoin casinos that are open to players from all over the world. They offer 25-45% commissions or up to $250 CPA. We are luckybet.com a casino sports brand working on several markets,Brazil, turkey, canada, australia,russia ,new zealand, and the options are open. My name is Samuel, i am over 10 years in the market and i am pushing this program to the next stage, look for to have you on our team working with us, with a long lasting relation between our parties :). We have a very competitive remuneration plane.